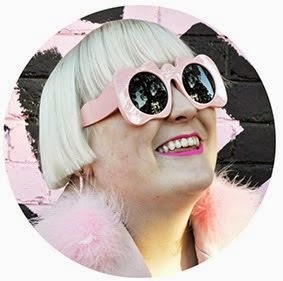 I'm proud to announce that I am the Sydney ambassador for Buy Nothing New Month in October which encourages you to do exactly that, buy nothing new for a whole month (you can still buy second hand items though). 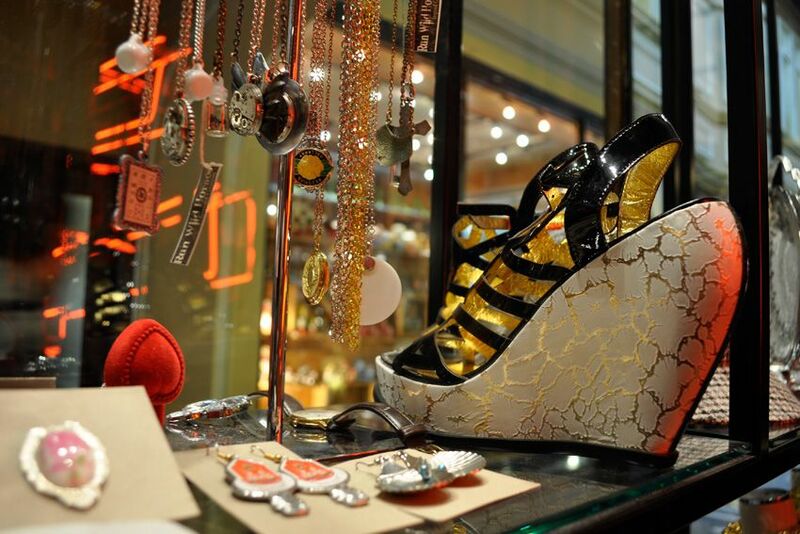 The idea is to get you to think about each and every purchase you make and to cut back on waste. A quarter of women only wear 10 per cent of the clothes in their wardrobes, and 91 per cent own items with the tags still on. I'm guilty of doing the same but I have been making changes in the way that I shop so that I do so now with sustainability in mind. In terms of not buying anything new for a month, well I actually probably have had three or four months this year where I didn't buy anything new anyway so it really shouldn't be too hard and it should be fun re-mixing my wardrobe. You can make the pledge to Buy Nothing New in October here. The Brotherhood of Saint Laurence are supporting this great initiative, as are the Salvos and Gumtree amongst others. 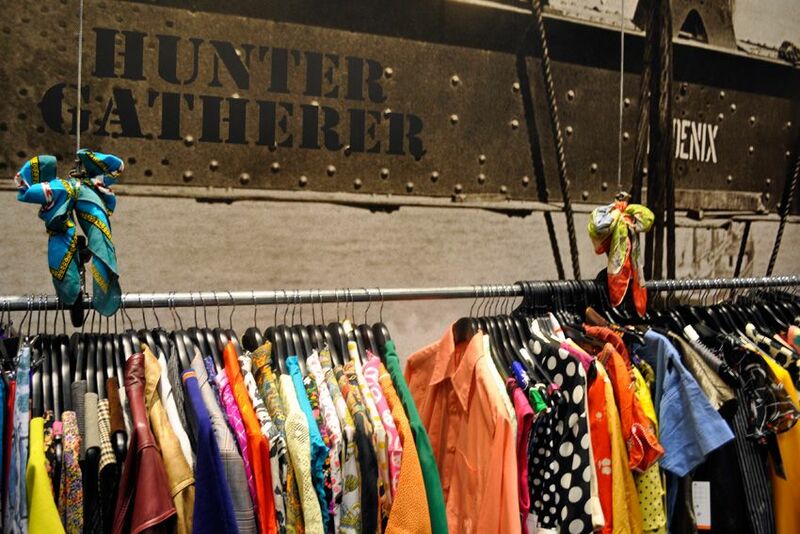 I got to meet up with the marketing manager of The Brotherhood of Saint Laurence at their newest vintage Hunter Gatherer boutique in Melbourne's Royal Arcade whilst in town. 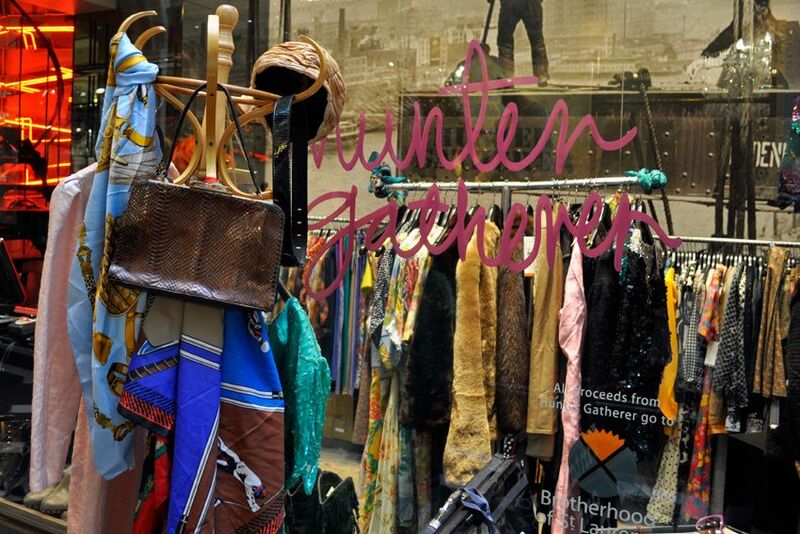 I have been a lover of Hunter Gatherer since my teens, visiting the Brunswick Street and now defunct St Kilda stores often, I even wrote an article about the store for a year 12 media assignment. 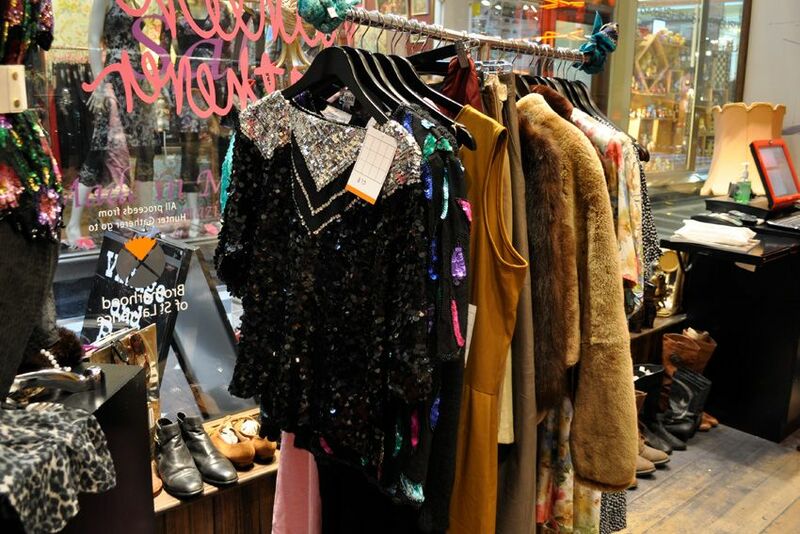 All the clothing in the stores is specially handpicked from the hundreds of thousands of items donated to the charity and its op shops each year, and unlike some vintage stores the prices are very reasonable. 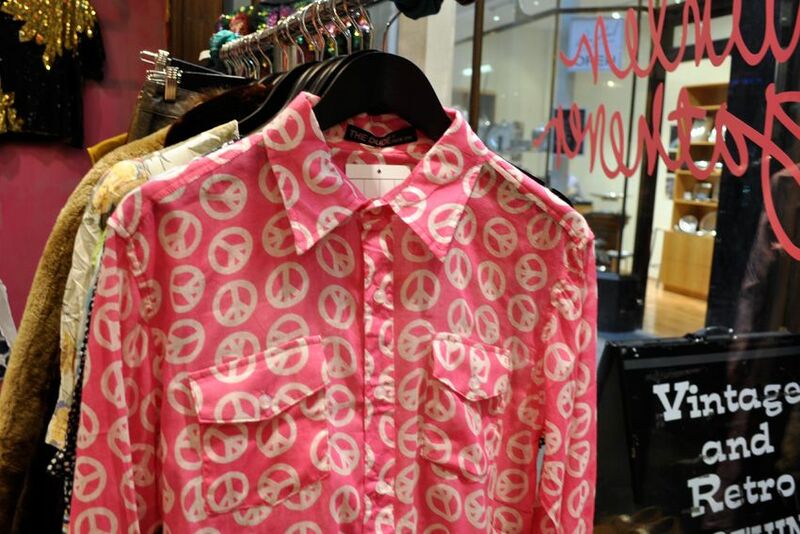 I wish that this peace symbol shirt was my size, I love how its also from a label called "The Dude", amazing! 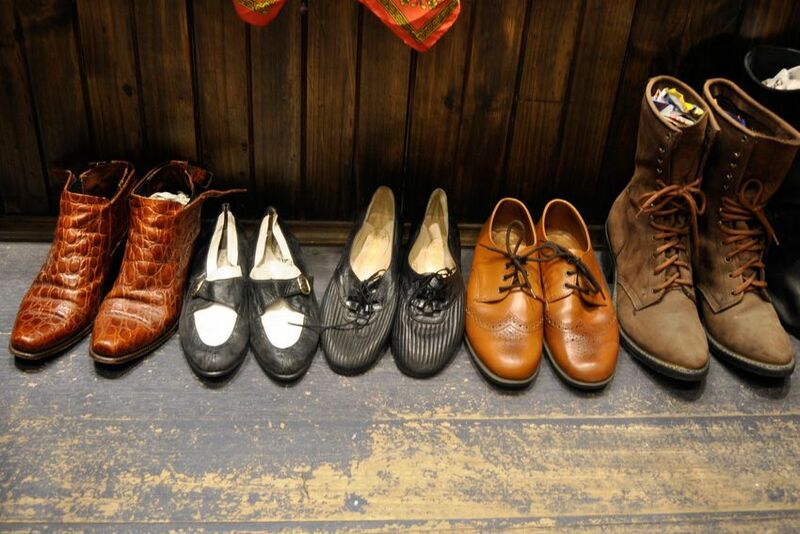 A nice selection of brogues. 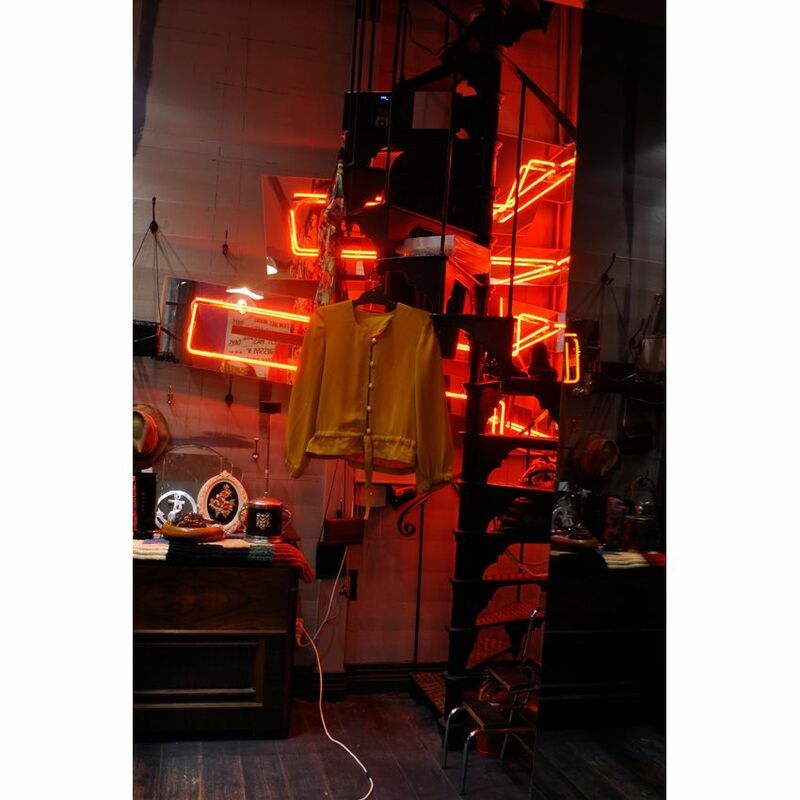 A cool feature of the store are the neon lights on the back wall. The city store manager is such a babe! I tried on a vintage polka dot blouse and skirt, not so great together but I did buy the blouse for only $15 which I wore to fashion week that night (my final MSFW posts are to come where I will show you that outfit). I have a double pass for the Sydney Variety Op Shop Ball to be held on Saturday 24th of September. Held at the top of Sydney's iconic Sky Tower and hosted by TV and radio presenter Lizzy Lovette, over 250 party-goers will join in the celebrations. In addition to the spectacular view, guests will enjoy a visual feast of dazzling drag queens, famous faces, and outrageous second-hand outfits, with professional fashion shoots taking place throughout the evening plus some wacky entertainment and plenty of prizes on offer.While the complimentary cocktails and canapés flow, some of Australia’s best DJs and musicians will take to the decks and storm the stage to keep the in-crowd entertained.This is not the time to be shy! Raid your local op shop and come dressed in the most glamorous second hand outfit you can find. 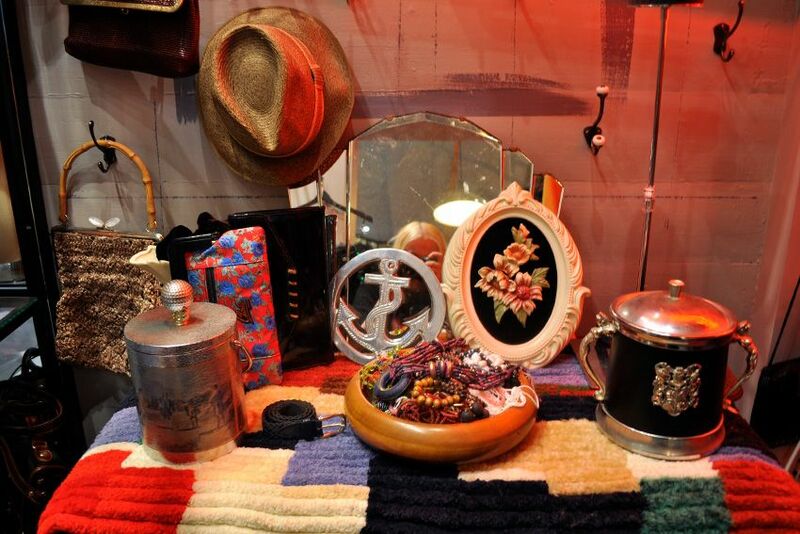 Fantastic prizes awarded to the lucky guy and gal who win the coveted Mr and Ms Op Shop Ball titles. Will be a fun night. Tickets to the Variety Op Shop Ball are still available. Tickets are $120 each and all proceeds go towards Variety's Freedom Program which provides sick, disadvantaged and special needs children with mobility equipment and communication devices – giving these children a brighter, more mobile future. A great cause. I pledge the allegiance to not buy anything new for the month of October. It'll be soooo HARD but worth it if I get to go to the Op Shop Ball and do my bit for the children's charity. I love those kids! Hiya Hayley. I shall be taking the pledge...more of an excuse to go to more op shops and dig for all those hidden treasures. ha, I'd take the pledge but there are way too many brand new things on my shopping list. The store looks amazing though and I like your outfit, such cute socks! 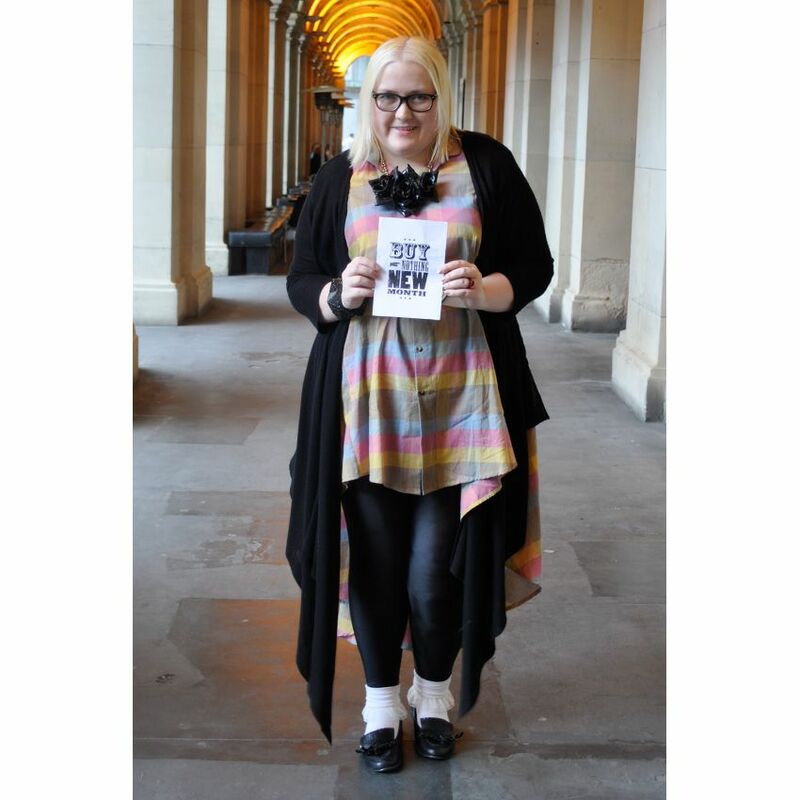 I, Monique pledge to shift my spending patterns, to buy nothing NEW for the month of october- for a GREAT cause. Trash and treasure - there is little difference in the right creative hands. I took the pledge! recently moving house I realised just how many clothes I own - buying nothing new and 'shopping my wardrobe' for a month will be just the kick-start I need. Would also love to attend the ball! Sory a bit late on the pledge for the tickets but keen to pledge regardless - reason for pledge is been a big supporter of sharing and purchasing second hand so excited to be involved!! Also, we recently fitted out our 4 storey office with 95% second hand - proves it's not that hard and it is def fun! !